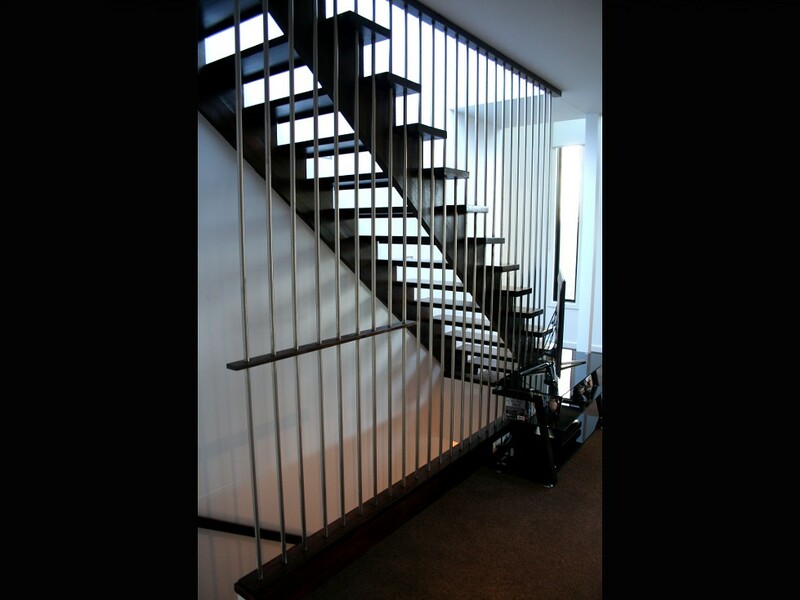 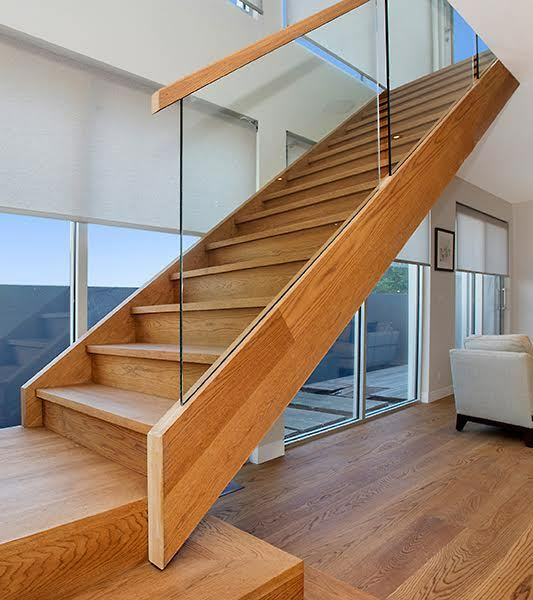 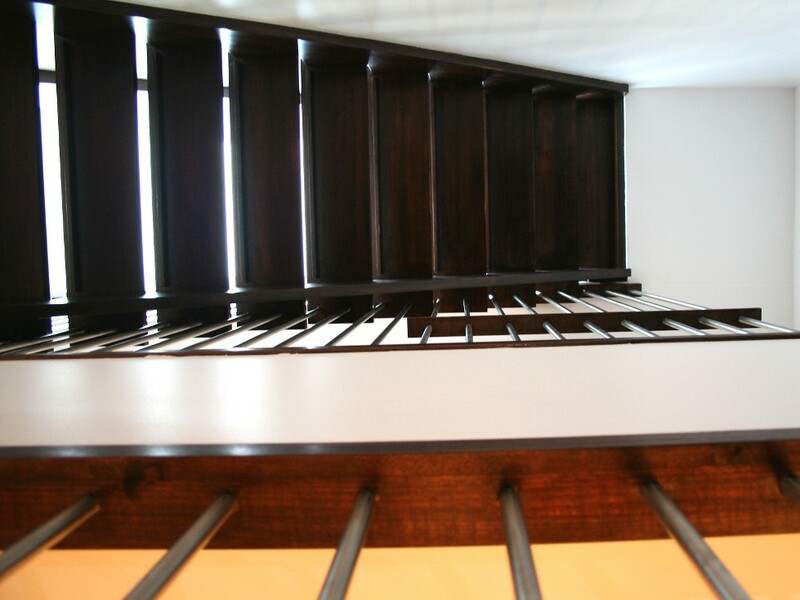 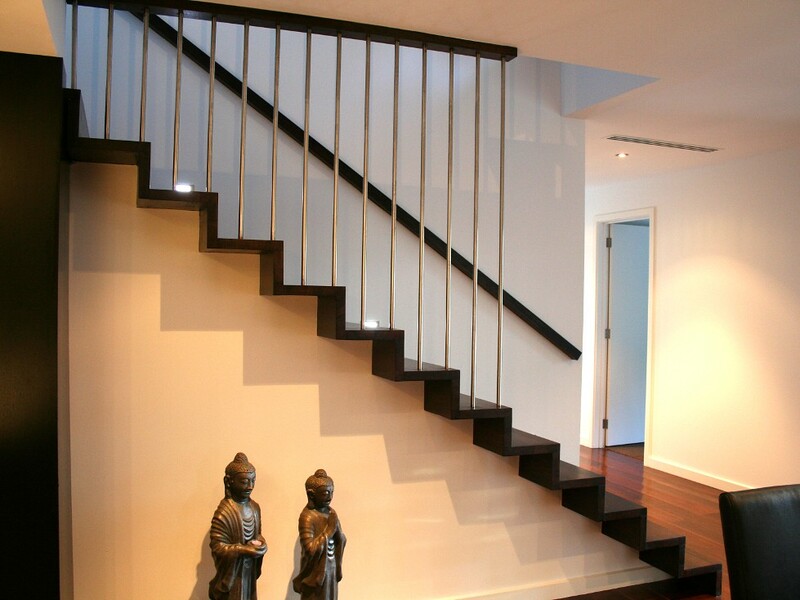 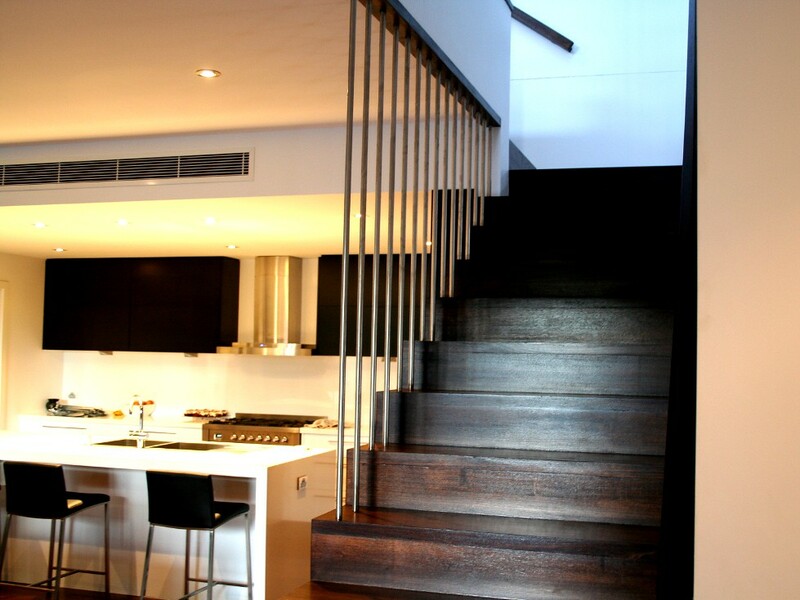 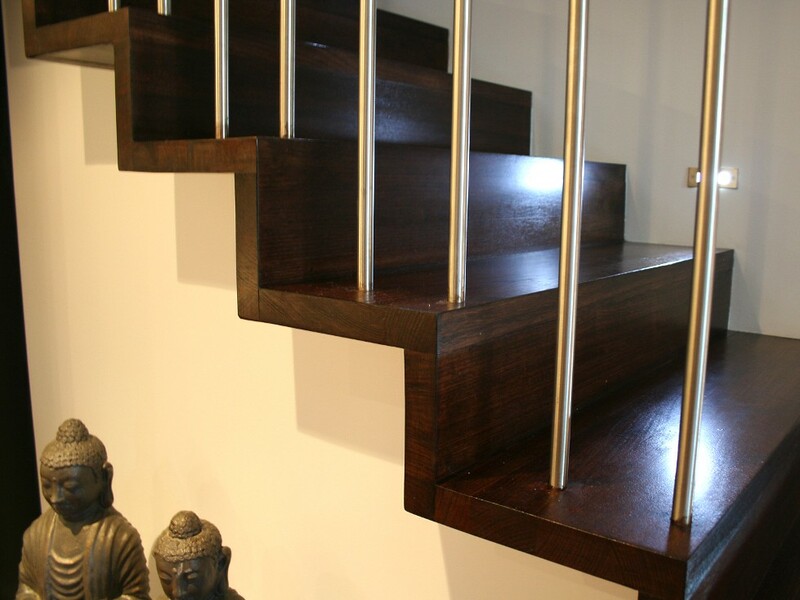 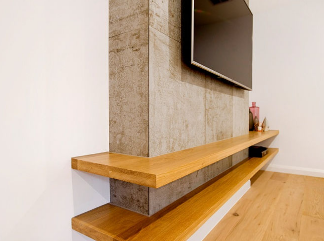 Lower Specifications: Closed stair; Cut concealed wall strings; Cut concealed outer strings; Half flight Cantilever; Treads with Zero nosing square projection; The Material used are: Strings ex 50mm Tasmanian Oak; Treads ex 50mm Tasmanian Oak; Risers ex 50mm Tasmanian Oak. 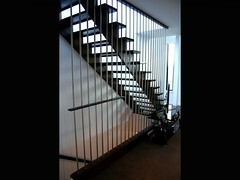 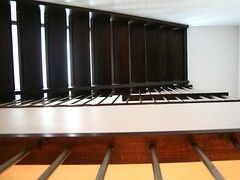 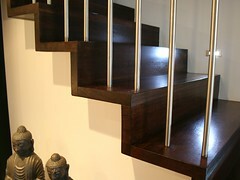 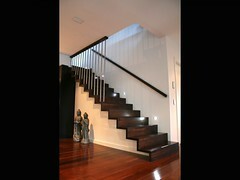 Handrails ex 60x60mm Tasmanian Oak. 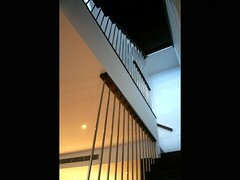 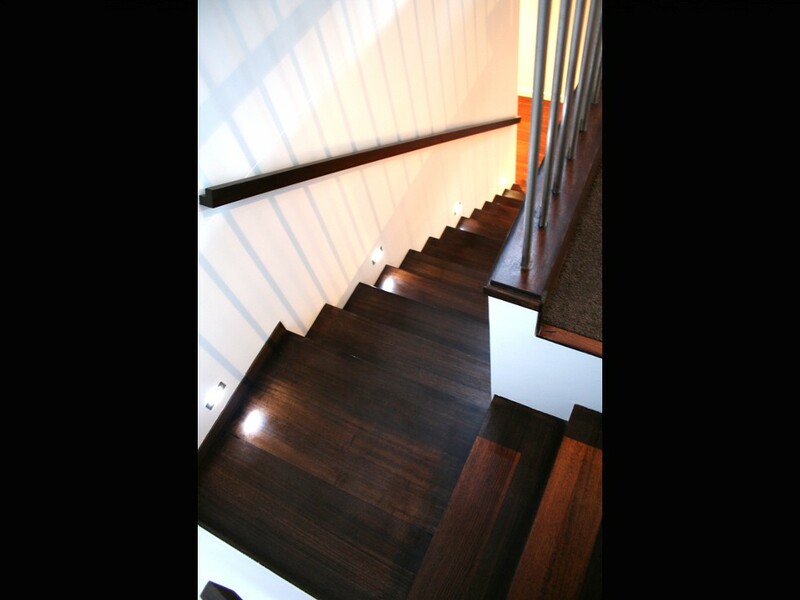 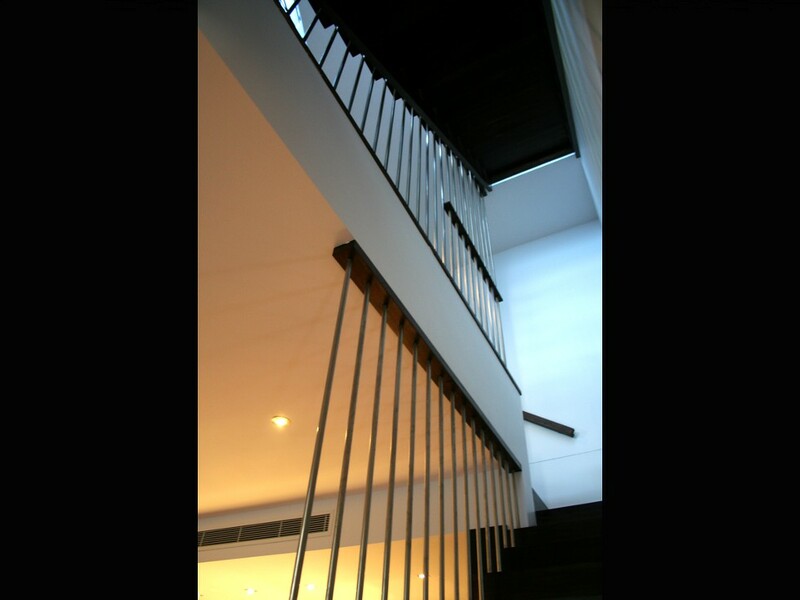 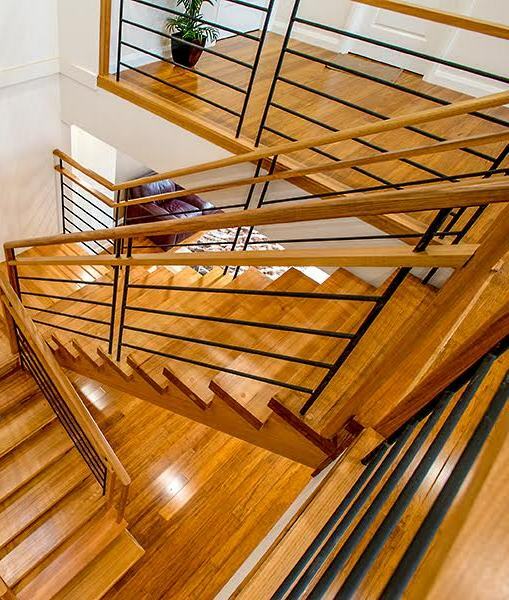 Upper Specifications: Open stair; Cut wall strings; Cut outer strings; Treads with 30mm square nosing projection and riser reduces; The Material used are: Strings ex 50mm Tasmanian Oak; Treads ex 50mm Tasmanian Oak; Handrails ex 60x60mm Tasmanian Oak.